There are two sizes of box available – the Gold and the Community. The AQUABOX GOLD is packed by the Aquabox team and filled with new, specially purchased, humanitarian goods to meet the basic needs of the recipients. The box is filled to capacity bringing the weight up the maximum shipping weight of 25kg. 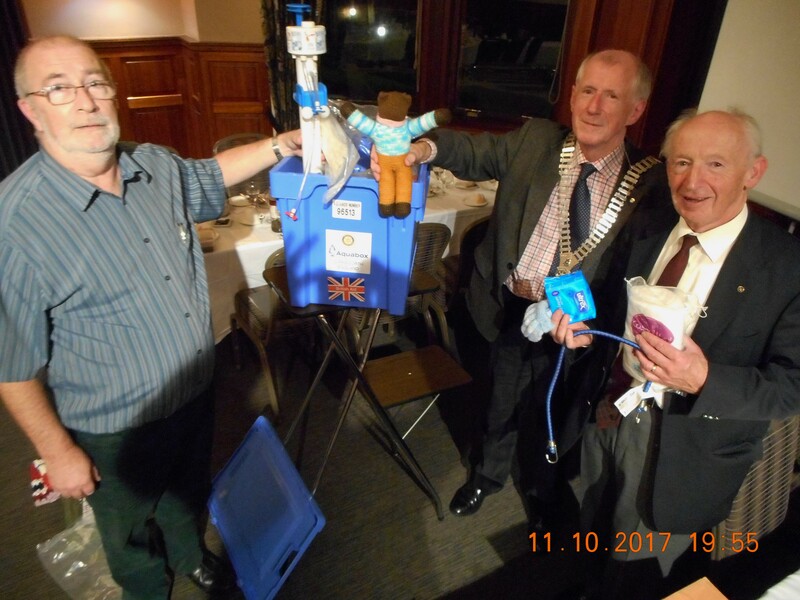 This option takes Aquabox into a new era, one where supporters can fund the filling of Aquaboxes with a wide range of new, non-clothing items. The volunteer packing teams produce only Aquabox Golds. One of the teams works within the existing premises at Wirksworth. The Aquabox Gold humanitarian aid packing list now assures that the contents of every Aquabox Gold are standardised. Each of the nearly 70 individual items of humanitarian aid included in the Gold box has been carefully selected for its usefulness and flexible application – ideal in an emergency situation. Every Gold box also has included in it an AquaFilter Family water purification unit capable of producing a minimum of 18,000 litres of potable water. This corresponds to the amount needed by a family group of five individuals for at least eighteen months, including general hygiene water. The Aquabox Gold does not include clothing (other than a few for very young children and babies). 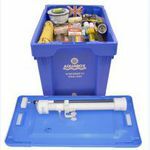 Filled with new, specially purchased, humanitarian good the AQUABOX COMMUNITY box only includes an AquaFilter Community that is based on the use the same well proven micropore technology of the AquaFilter Family. It is shipped in the same robust ridged plastic container as those used for our Aquabox Gold boxes. Every AquaFilter Community is capable of producing up to 500,000 litres of drinking water from a local contaminated water sources. This is enough basic drinking water for 100 family groups of five (500 people) for well over a year and half; over 500 tonnes of drinking water. * Aquabox Community contains only the filtration unit and does not contain the ancillary survival bags or the humanitarian aid items of the Aquabox Gold. * Aquabox Community units are not sent for box filling, but are available for sponsorship via donations. 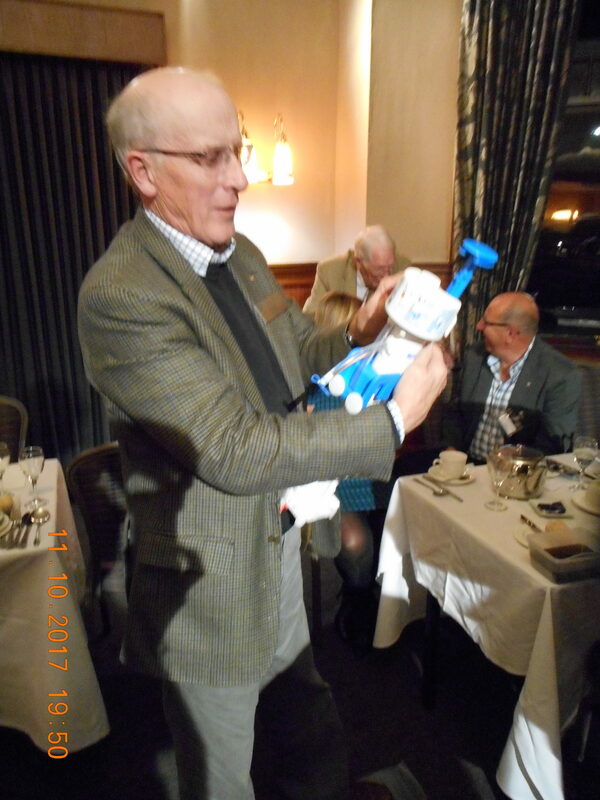 Each Community is only £250 to sponsor. * Aquabox Communities are produced and despatched to areas of dire need and where their distribution can be well monitored by our distributing partner organisations. * Aquabox Communities are often sent out to supplement each full container load shipment of Aquabox Golds. Aquabox Communities are also particularly useful in meeting the drinking water needs of the hospitals and schools in the disaster struck areas.